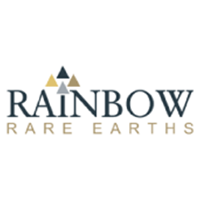 The share price for Rainbow Rare Earths Ltd company symbol: LON:RBW has risen 5.6% or 0.11 points during today’s session so far. Market buyers have stayed positive throughout the session. The high for the period has reached 1.98 dipping to 1.98. The total volume traded so far comes to 59,497 with the daily average at 328,939. The 52 week high is 23.88 amounting to 22 points in difference to the previous days close of business and a 52 week low sitting at 1.55 is a variance of 0.33 points. The current market capitalisation is £3.94m at the time of this report. The share price is in Great British pence. Mcap is measured in GBP. This article was written with the last trade for Rainbow Rare Earths Ltd being recorded at Wednesday, April 10, 2019 at 11:22:53 AM GMT with the stock price trading at 1.98 GBX. 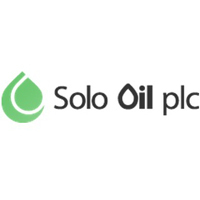 The share price for Solo Oil PLC ticker code: LON:SOLO has risen 3.58% or 0.06 points in today’s trading session so far. Buyers have so far held a positive outlook throughout the session. The periods high has reached 1.79 dipping to 1.69. Volume total for shares traded during this period was 2,411,992 while the daily average number of shares exchanged is 2,611,390. A 52 week high for the stock is 3.6 about 1.92 points in difference to the previous days close of business and a 52 week low sitting at 1.25 a difference of some 0.43 points. The current market cap is £10.93m at the time of this report. All share prices mentioned for this stock are traded in GBX. Mcap is measured in GBP. This article was written with the last trade for Solo Oil PLC being recorded at Tuesday, April 9, 2019 at 1:28:58 PM GMT with the stock price trading at 1.74 GBX. The trading price for Standard Chartered PLC found using EPIC: LON:STAN has climbed 1.15% or 7.4 points throughout today’s trading session so far. Traders have remained optimistic throughout the trading session. Range high for the period so far is 659.4 and a low of 638.2. The total volume of shares exchanged so far has reached 1,559,252 with the daily average traded share volume around 8,534,013. The 52 week high for the share price is 787.3 amounting to 141.7 points in difference on the previous days close and a 52 week low being 514.2 a difference of some 131.4 points. The current market cap is £21,572.36m at the time of this report. All share prices mentioned for this stock are traded in GBX. Mcap is measured in GBP. This article was written with the last trade for Standard Chartered PLC being recorded at Tuesday, April 9, 2019 at 1:47:28 PM GMT with the stock price trading at 653 GBX. The share price for WPP PLC ticker code: LON:WPP has stepped up 2.27% or 19.4 points during today’s session so far. Investors have remained optimistic while the stock has been in play. The high for the period has reached 873.6 dipping to 854.6. The amount of shares exchanged has so far reached 1,403,561 with the daily average traded share volume around 4,818,697. The 52 week high for the share price is 1375.5 some 522.5 points in difference on the previous days close and a 52 week low being 791 a difference of some 62 points. Market capitalisation for the company is £11,001.10m at the time of this report. The share price is in Great British pence. Mcap is measured in GBP. This article was written with the last trade for WPP PLC being recorded at Tuesday, April 9, 2019 at 1:45:26 PM GMT with the stock price trading at 872.4 GBX. Click RBW SOLO STAN WPP for the full archive.